The PDF has become a ubiquitous format for file sharing in our work and our daily lives. 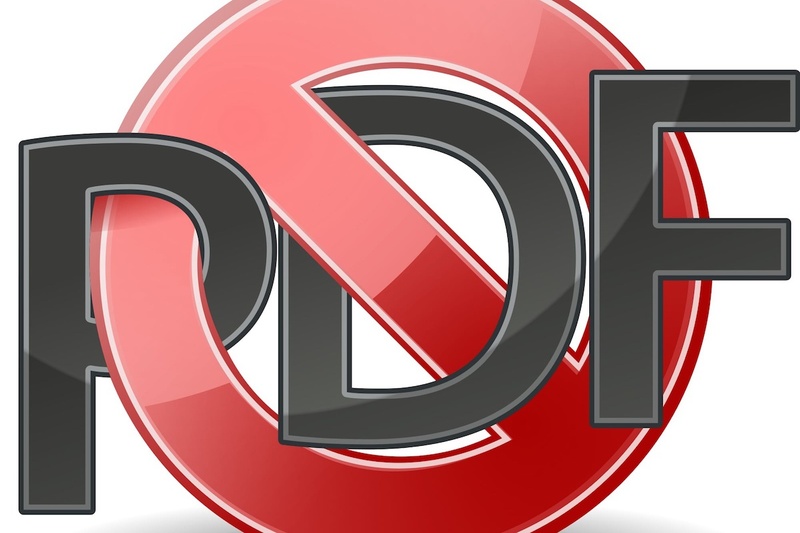 While its use and convenience cannot be denied, the PDF can also render datasets, graphics, and other information unusable by locking it in a closed format. This webinar exposes these limitations, and explore alternatives to issuing PDFs for reports and organizational research. The training also provides concrete examples of how to make PDFs more usable and reasons why we should share, make open, and reuse data in the social sector. The Communications Network partners with Foundation Center and Sunlight Foundation for this webinar, the second in a series exploring open data for the social sector. PDFs present challenges like the inability to select text, formatting limitations, and the inability to export charts and tables. To make PDFs more usable, provide download links to data, incorporate data portals, and create HTML/CSS tables that link back to original data. Look to peers in the field to see examples of best practices and models for releasing data in a shareable way. For more resources, please see OpenGov Foundation’s blog post on unlocking Congressional Financial Disclosure PDFs, Smart Chicago’s primer on unlocking PDFs, and the PDF Liberation Hackathon.